Thanks to the kind assistance of Jim Fitzpatrick MP, we were recently able to help organise an event for Syrian civil society activists visiting London for the Supporting Syria and the Region conference. The event took place in Portcullis House on the 5th of February, the day after the conference, allowing people to discuss their experiences. The notes below are a summary of points raised in the discussion. Thanks to Howard Mollett of CARE International for his work in compiling these notes. View and download a PDF of the event notes. 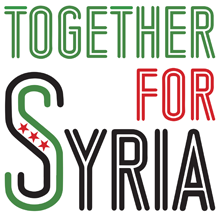 Event hosted by Jim Fitzpatrick MP, with support from the All-Party Parliamentary Group Friends of Syria, Syria Solidarity UK, CARE International, and Women’s International League for Peace and Freedom. Friday 5th February 2016, Portcullis House, Westminster. 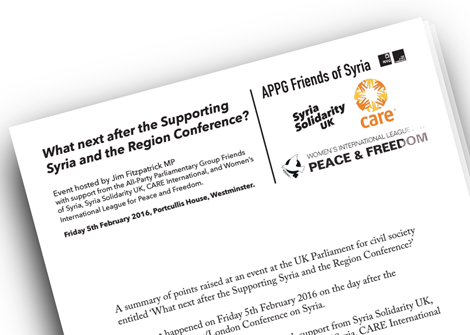 The event happened on Friday 5th February 2016 on the day after the #SupportingSyrians/London Conference on Syria. It was hosted by Jim Fitzpatrick MP, with support from Syria Solidarity UK, the UK All-Party Parliamentary Group Friends of Syria, CARE International and Women’s International League for Peace and Freedom. The ideas outlined in this summary come from the participants. We had over 40 participants, including both INGOs and a large number of Syrian CSOs. The summary was circulated for feedback and captures the main points raised, but it does not capture the full richness of the discussion. Prioritise the protection of civilians and accountability for international humanitarian law. Syrian CSO participants strongly advocated that donor pledges on funding do not absolve those same governments and the wider international community to do more to end the violence against civilians. Ensure meaningful, early and timely engagement of Syrian civil society at all levels of follow-up to the #SupportingSyrians Conference in terms of input to decision-making and accountability efforts across policies, strategies, programmes. Syrian CSO participation is too often treated as an after-thought and they are frequently invited into meetings with pre-determined agendas and a tokenistic role. One participant proposed the creation of civil society oversight committees for the implementation of Conference commitments (ie. relating to funding pledges, the co-hosts statement and country-level ‘Compacts’). Treat Syrian CSOs as full partners in the design of policies, strategies and programmes. Currently, they are too often sub-contracted as implementing partners without meaningful engagement in project design. Such an approach could be incentivised through both direct funding to CSOs, and through funding channelled via UN agencies and INGOs. Amend counter-terror policies which are making it hard for funding to reach NGOs working inside Syria and in neighbouring countries, as well as presenting challenges for the flow of remittances. Participants flagged that these policies are unlikely to impact on proscribed armed groups, but they do impact on CSOs. One women-led humanitarian CSO shared that their bank account had been frozen three times and funding transfers delayed due to these policies. Provide longer-term funding to Syrian CSOs. Current 6-month and 1-year timelines in the UN pooled funding mechanisms are inadequate to address needs like health infrastructure or sustainable organisational capacity-building. Prioritise refugee protection in Jordan, Lebanon and Turkey. Commitments to open up work opportunities under the ‘Compacts’ with these countries are welcome. These frameworks should be built on to promote strengthen legal protection for refugees in the form of residency permits in line with the UN Refugee Convention (as well as support for marriage registrations and new birth registrations) – which are a critical prerequisite for refugees to then apply for work permits. Increase support for grassroots-level CSOs. Local women’s groups, for example, have functioned in some areas for more than two years and have won the respect and engagement of local councils. Yet they struggle with burdensome donor log-frames and reporting requirements, and the majority of funding channelled to larger CSOs and NGOs does not reach them. Ensure credible steps to factor conflict sensitivity into the accountability of funding pledged at the London Conference. The war economy is a major factor inside Syria, as well as in neighbouring countries, and there are good practices available in the humanitarian sector to mitigate the related risks for aid delivery. Related to this, concerns were raised over reports that the proximity of the World Health Organisation to the Syrian regime had resulted in polio vaccinations being deprioritised for populations located in opposition-controlled areas. In addition, one participant mentioned reports that staff in some institutions have used aid delivery to exploit beneficiaries, and called on humanitarian agencies and the wider international community to provide more robust mechanisms to mitigate against this. 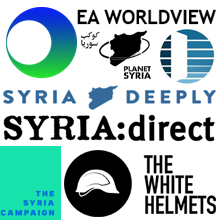 Clarify the balance in funding pledges made at the Conference between aid to inside Syria and funds allocated to neighbouring countries and elsewhere. Participants highlighted that the greatest life-saving needs are inside Syria, and raised concerns that a donor political focus on refugee containment may shift funding away from that priority. Ensure that funding pledged at the London Conference for humanitarian action is framed and implemented in line with core humanitarian principles; notably neutrality, independence and impartiality. Donors should avoid pushing implementing agencies into aligning with contested political objectives in their work, which could put their staff and local beneficiaries at risk.